CARE FOR YOUR AIR ! The AIR that we breathe is the place where pollution and warming are changing the nature of our planet, as our health and living conditions, for long. Since 2008 we have imagine solutions for a non polluting/depolluting mobility and city action. The first car matching these criteria is the Dragonfly, exhibited at the Geneva Motor Show in March 2017. 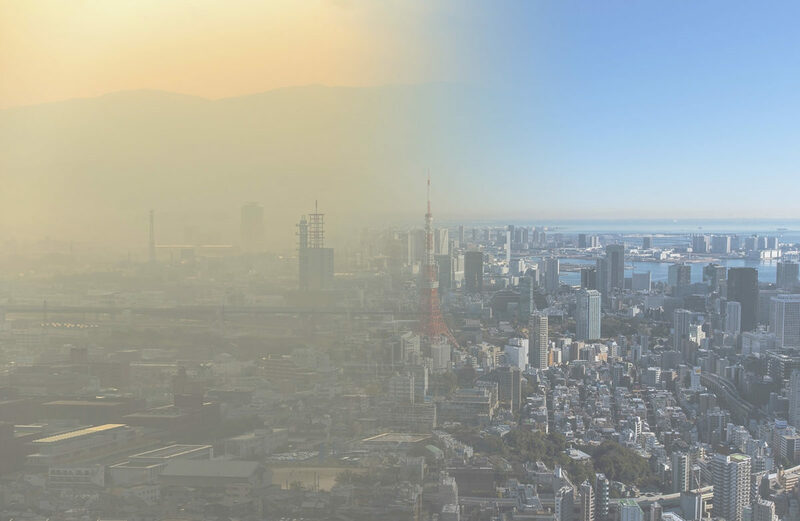 In 2017, we developed Catecair™, a Particulate Matter and NOx depolluting system working around the clock, to be installed on car roofs and urban furniture. This network is called Smartcitair™. We can transform a part of the fleet of 2’000’000’000 cars running in the world today into depolluting objects. In 2018, we signed an agreement with Prismaflex International, a European leader in billboard manufacturing for the first Catecair™ depolluting billboard (www.prismaflex.com). Based on the same technology, we have created a new approach for depolluting subways and underground train stations. To test our concept, we collaborate with an engineering Swiss company leader in tunnel ventilation. Last but not least, we are negotiating for participating to a project Catefuel aiming at transforming captured CO2 emissions from trucks and buses into green fuel. INTERESTED IN PLAYING A ROLE IN THIS GROUNDBREAKING PROJECT?